The original slave quarter and smokehouse at Bacon’s Castle stand as rare examples of Virginia’s vernacular architecture. 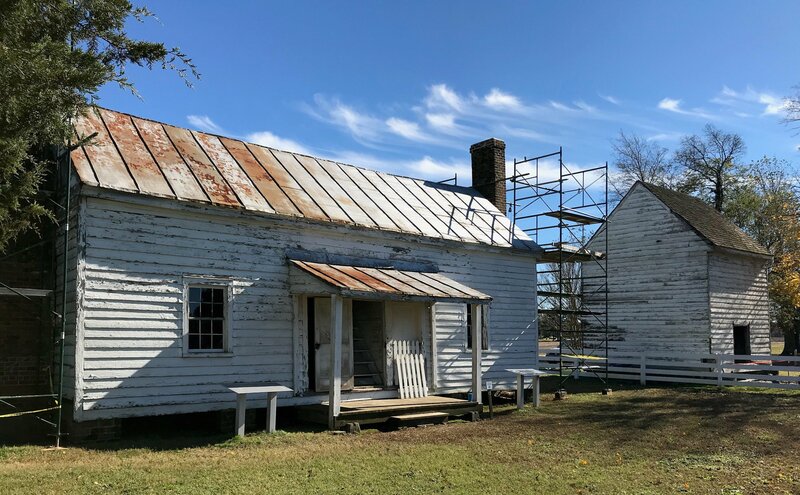 Built in 1829 and 1844, respectively, their preservation tells the story of plantation life in Southside Virginia. This fall, we began restoring the outbuildings to ensure their stability for future generations. 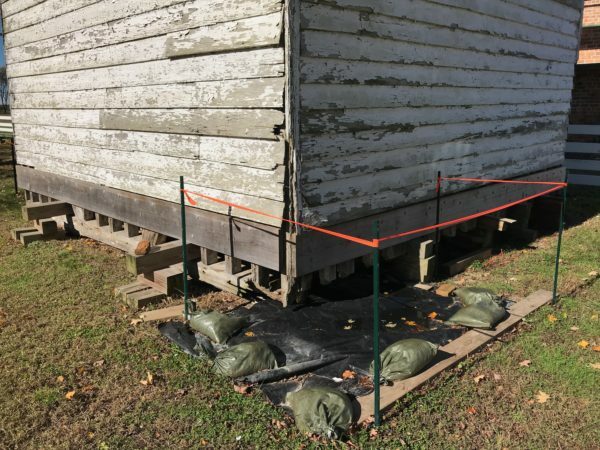 Restoration of the smokehouse will consist of adding additional brick layers to the building’s original foundation so newly constructed sills will sit above ground. Positioning the sills above ground will prevent groundwater damage to the structure. 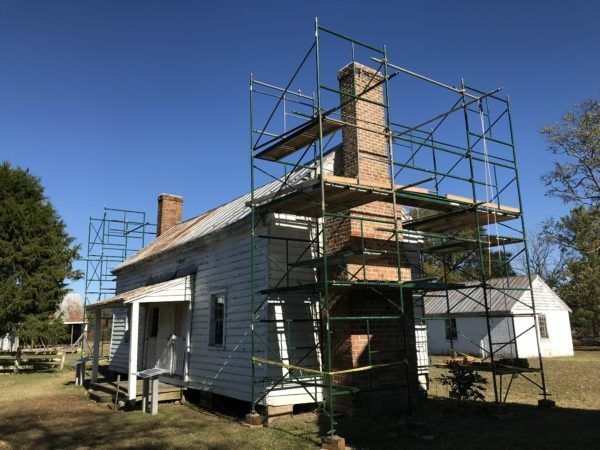 The slave quarter will undergo extensive masonry repairs on the chimneys and the fireboxes will be rebuilt. Additional framing stabilization will allow visitors to access the first floor of the structure, which is currently inaccessible. The James River Institute for Archaeology has conducted studies around the smokehouse and slave quarter. Excavations around the smokehouse this fall revealed a layer of oyster shells found in the ground believed to have been placed by the Warren family that owned Bacon’s Castle from about 1880 to 1972. Excavations from previous years around the slave quarter, revealed many unique artifacts from the 19th and 20th century occupation of the structure. Virtually unaltered, today the smokehouse contains hooks on moveable beams that would have hung salt cured pork while a low, smoky fire burned on the earthen floor. It wasn’t intended to cook the meat, but rather seal it with a smoke barrier. In the early decades, the process would have been carried out and overseen by the enslaved people at Bacon’s Castle. The 1829 slave quarter is a two-story, four room structure with two chimneys and four hearths. The slave quarter is the only survivor of this architectural type at Bacon’s Castle. By the 20th century, the slave quarter was used as a tenant farm house and had electricity and a kitchen addition. 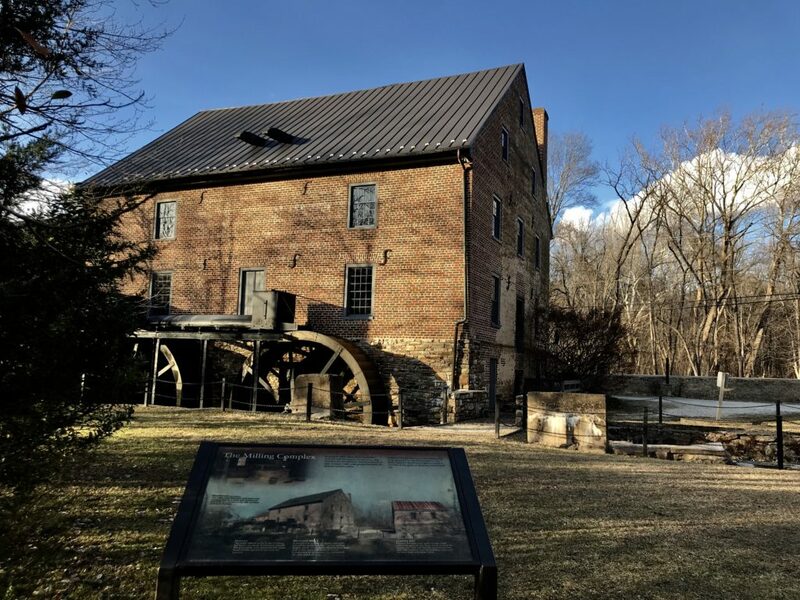 Preservation Virginia’s restoration projects are not possible without the support of our generous donors. 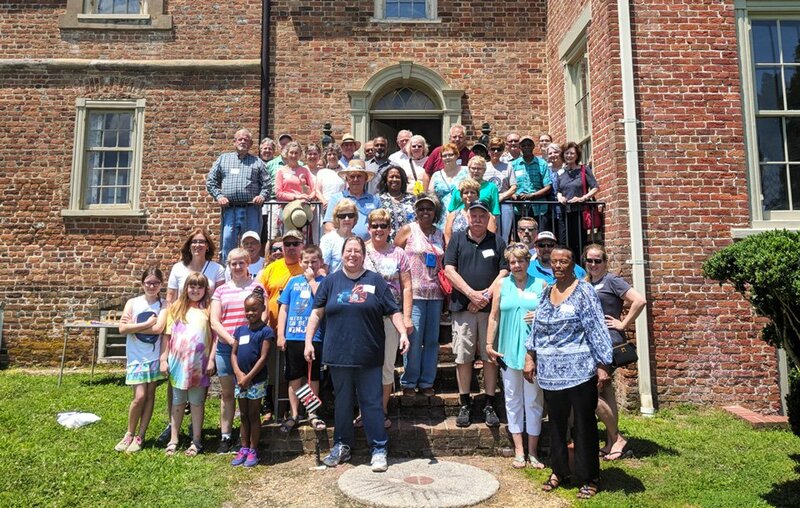 Make your best gift to help ensure the continued vitality and preservation of Virginia’s historic places of memory. Are you interested in supporting our programs and advocacy initiatives year-round? Enroll in our monthly giving program today.